Communication is absolutely essential in an emergency. You may need to ask for help, warn people about safety hazards or learn the location of a nearby shelter. Every situation calls for different devices. Simple air horns or whistles may attract the attention of a search and rescue team. A megaphone enables you to address a huge crowd. On the other hand, corded telephones and two-way radios facilitate long-range emergency communications. A whistle will help you get attention in almost any environment. It's capable of producing a 115-decibel noise that people can hear about 1,300 feet away. 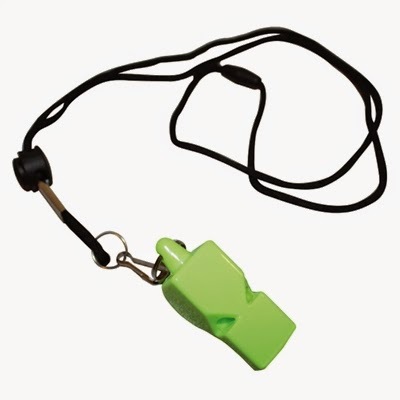 Most manufacturers use metal or plastic to make rescue whistles. A metal unit weighs and costs slightly more, but it's harder to destroy. Some plastic whistles will float when you drop them in water. This makes them a good option in areas at risk of flooding. An air horn attracts attention even more effectively than a rescue whistle. When activated, this device produces a loud blast that can often be heard from up to a mile away. You may use some units up to 80 times before you need to buy a refill. They're easy to operate; you only have to push down on the top of a horn to trigger it. Nonetheless, a plastic whistle will work more reliably in subfreezing conditions. You can use a megaphone to call for help or give instructions to a large group of people. This battery-operated device may prove useful if you run a business or public institution. Some models can increase your speaking range by up to 3,000 feet. The more powerful megaphones cost a bit more and need extra batteries. Many units also feature an attention-grabbing horn function. distances with a two-way radio. 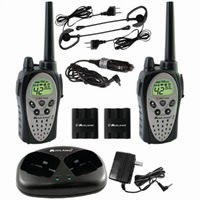 Many small walkie-talkies use the Family Radio Service band. They let you transmit up to two miles without a license. On the other hand, you can achieve a maximum range of 25 miles with General Mobile Radio Service equipment. The downside is there is a fee for a GMRS license. During most emergencies, it's very helpful to have a pocket or table radio with unexpired batteries. An AM/FM receiver will allow you to hear local news, weather forecasts, survival tips and cancellation lists. Consider selecting a model that also tunes the weather information band. You can use it to receive official warnings and forecasts at any hour. Some GMRS two-way radios also cover this band. Phone service usually continues to work when the power goes out. However, it's important to realize that cordless phones and cellphone chargers become useless without electricity. Disasters also cause people to overload cellphone networks. 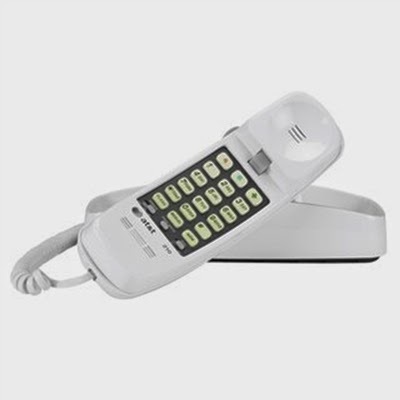 Fortunately, a standard telephone jack supplies enough energy to run a corded phone. Some units even feature brightly illuminated keypads that you can see in the dark. Communication equipment will help you stay informed and safe in a crisis, but it's crucial to protect your investment. Store the devices in a sturdy waterproof case and spend a few extra dollars on well-made batteries that won't easily corrode. If a major disaster appears imminent, remember to hang a rescue whistle around your neck. Finally, be sure to familiarize yourself with the equipment under normal conditions.